If you have been wondering how to make bath bombs yourself, no worries It is actually pretty easy to make bath bombs at home with good results. 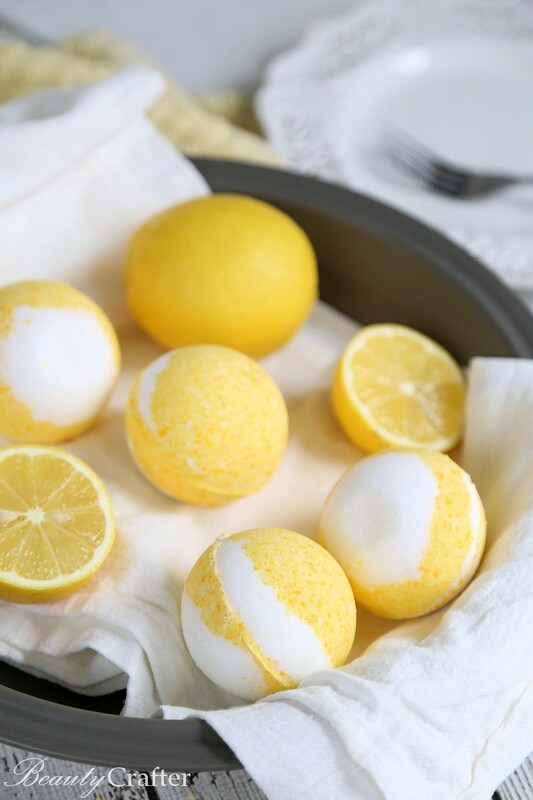 I will use this fun and delicious smelling lemon vanilla bath bomb to show you how. Lemon Essential oil – is purported to enhance mood and nourish the skin. The fresh scent is cheerful and clean smelling. Vanilla Essential oil – is not truly an essential oil. It is an extract of vanilla called Oleoresin. It is specifically produced for scenting the air and products made with it and does not contain alcohol. While not technically an essential oil it does serve to same role for our purposes and is not so much “fake”, rather inaccurately named. Together these oils produce a scrumptious Lemon Meringue Pie scent. The scent of these bath bombs provides ample opportunity for creative gift wrapping. Pack them with a fun mixture of bath and kitchen items, such as: using a pie tin , adding Tea Towels with Lemons on them , a jar of lemon curd , scrubby for the bath, perhaps some sugar scrub. 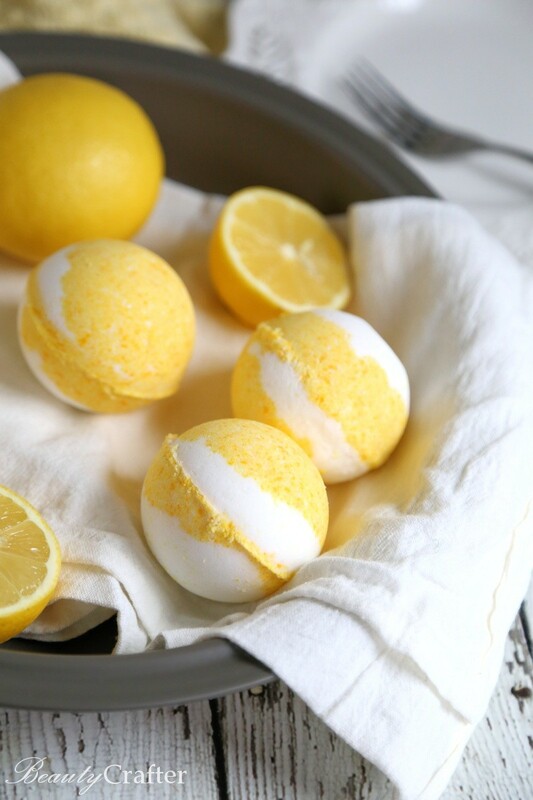 There is a short video showing you how to make bath bombs that smell this delicious! See is below in the recipe section. 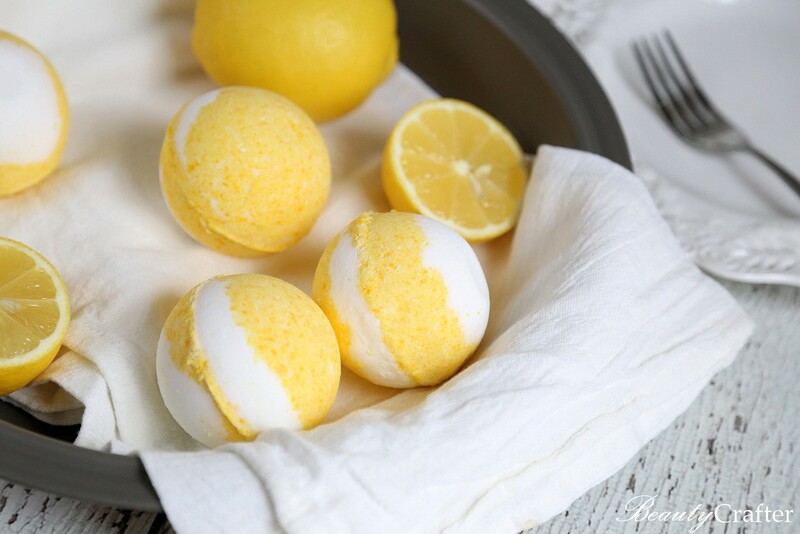 While you’re making the bath bombs, why not make some Lemon Soap to go with them! 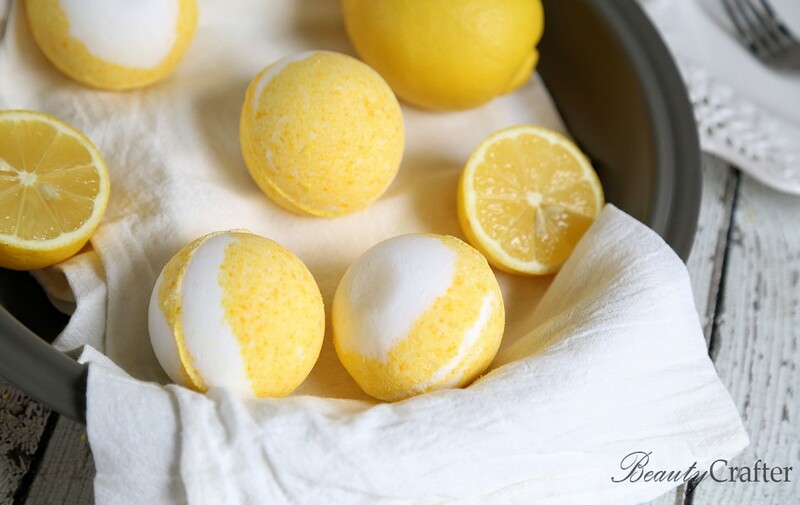 These are relatively easy bath bombs. Here are the ingredients, supplies and directions for you to make a batch of your own. Mix together baking soda, cornstarch, citric acid and epsom salts. Add the fractionated coconut oil, then quickly mix in the water (so it won’t fizz too much). Divide the mixture into two bowls. roughly 1/3 in one bowl and 2/3 in the other. Mix the vanilla essential oil into the smaller batch and add the lemon essential oil and some yellow food coloring to the larger portion. Mix each well, taking care not to get any yellow into the white.